I’m thrilled to share this gorgeous book today! In Servitude by Heleen Kist, has been blowing readers away in Europe since it’s release and now is taking North America by storm! 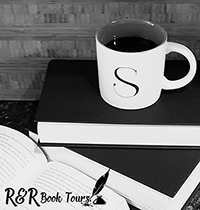 Today I will be sharing an exclusive excerpt, and inviting you to enter an international giveaway for a chance to win a paperback copy of this exciting thriller! In Servitude is also available for review through R&R Book Tours. Find out how you can get a copy below! Grace thought her sister led a charmed existence. Now she has to pay the price. When Grace’s beloved sister Glory dies in a car crash, her carefully planned life spirals out of control. She discovers Glory had been manipulated into illegal activities at her trendy vegan café. What’s worse, Grace finds herself an unwitting accomplice now forced to take over her sister’s shady dealings. Determined to keep her fingers clean and protect those Glory left behind, Grace plots to escape the clutches of Glasgow’s criminal underworld. But her moral certainty is challenged when more family secrets emerge and her sister’s past intentions remain unclear. Grace grows convinced Glory was murdered. Why won’t anyone listen? Blue pulled at the lead. I let him off once I’d scanned the area and noted no loose dogs. Only a lone figure loitering. His eye line crossed mine as he also examined the park, and paused on me long enough to raise a creepy sensation. I moved to a bench by the play park and pretended to tie my laces. When I straightened up, the man was striding straight towards me. I searched for Blue, hoping for a semblance of protection, but he was nowhere to be seen. Nor was anyone else. Before I could stop him, the man sat down next to me. He whistled and shouted, ‘Here boy!’ then faced me with a disturbing grin. As if he knew the dog wouldn’t come. I jumped to my feet and looked around. What had he done? On the second blow of silent air through my dry mouth, Blue appeared from behind a tree thirty yard away. Safe. He showed no interest in me or the man, instead sniffing out the ground’s many treasures. He rushed off, his dark coat billowing behind him like a cape, almost engulfing Blue who circled his legs, tail wagging, until he turned towards the road. Heleen Kist is a Dutch businesswoman who lived all over the world while growing up and for her career. Then she fell in love with a Scotsman and his country, and now writes about its (sometimes scary) people from her garden office in Glasgow. She was selected as an ‘up and coming new writer’ and awarded a Spotlight at Bloody Scotland 2018, the International crime writing festival. Her debut psychological suspense novel ‘In Servitude’ was inspired by Heleen’s expertise in small business finance mixed with her friend’s courageous idea to open a vegan cafe in a city renowned for its dubious diet. She is currently working on her next book, which will be dark women’s fiction. 2 paperback copies of In Servitude by Heleen Kist are up for grabs!!! Winners will be selected at random on 23 December and notified personally, only your initials will be used in the winner’s announcement. I would like to thank R&R Book Tours for the opportunity to share this book. Thanks for participating in the Blitz! I hope you’re intrigued enough to review it. You are very welcome. Yes, I would love to review it.